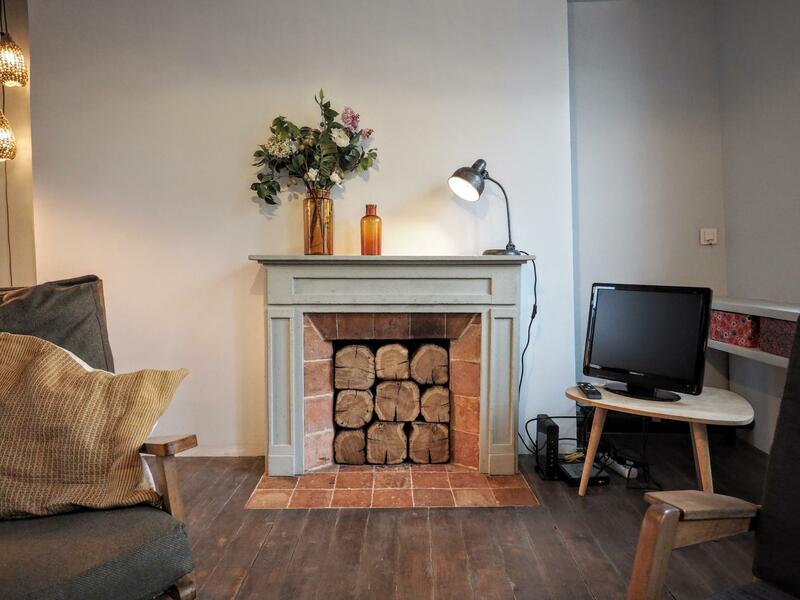 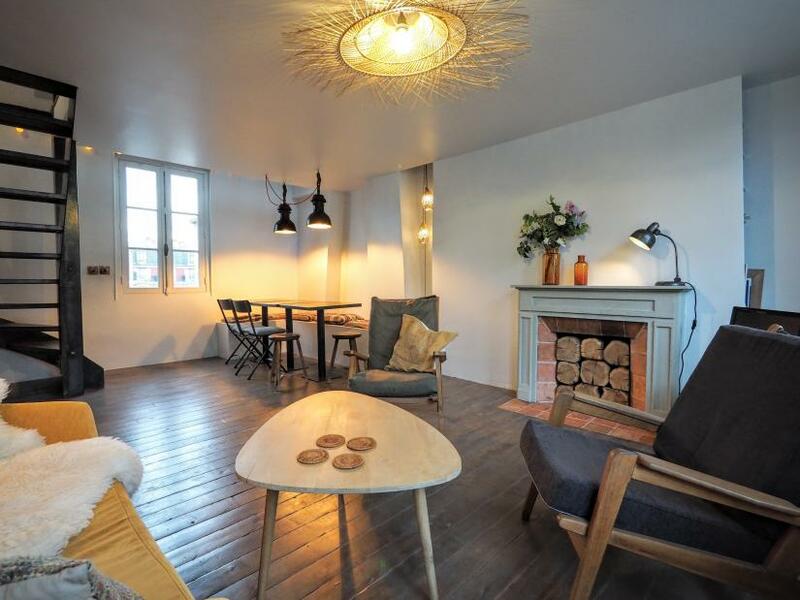 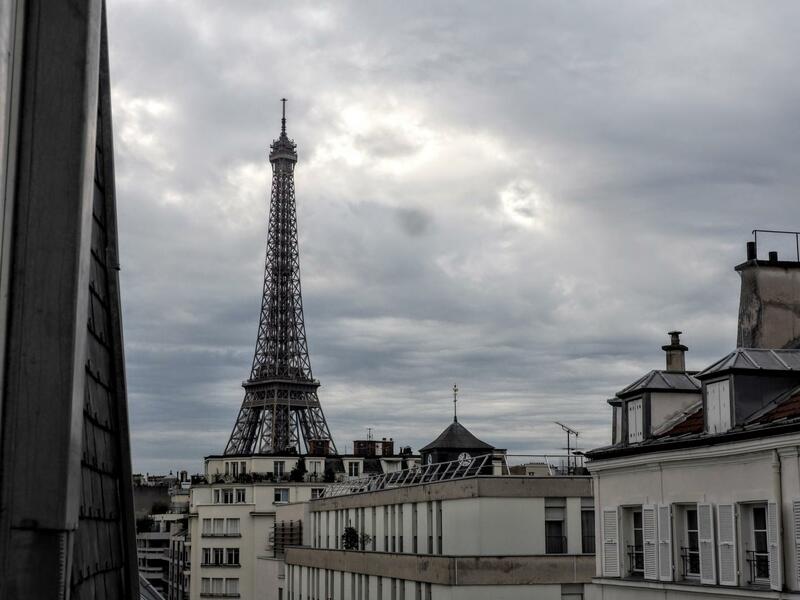 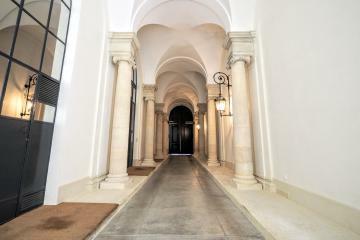 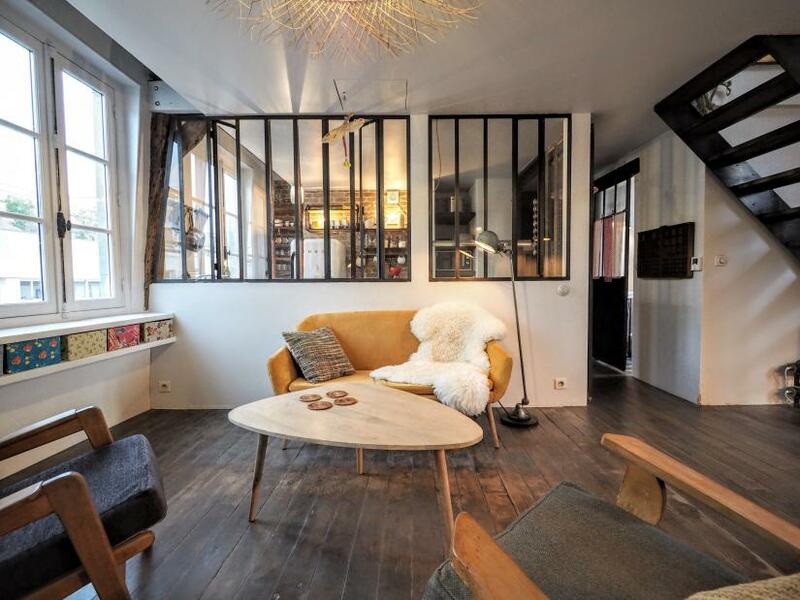 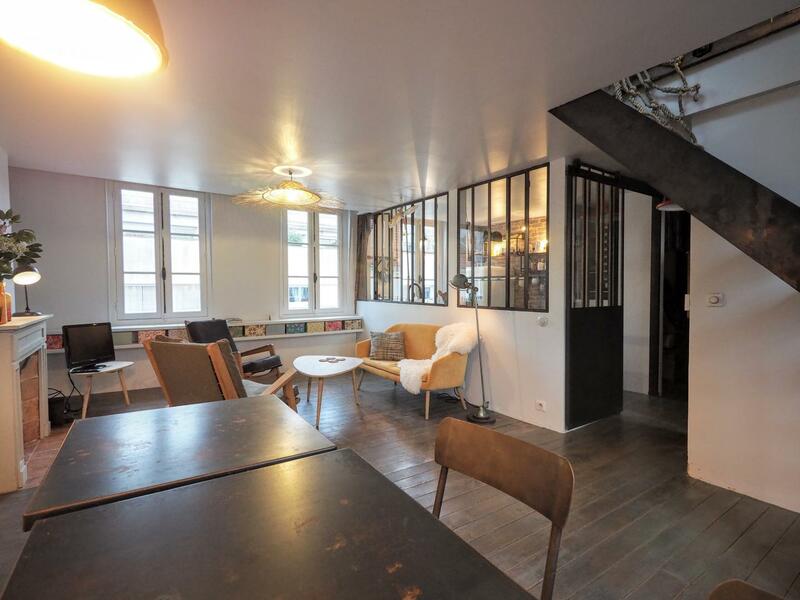 Astonishing 2 bedroom apartment rental located in the heart of Paris, close to the Eiffel tower and Invalides and next to the Seine river. 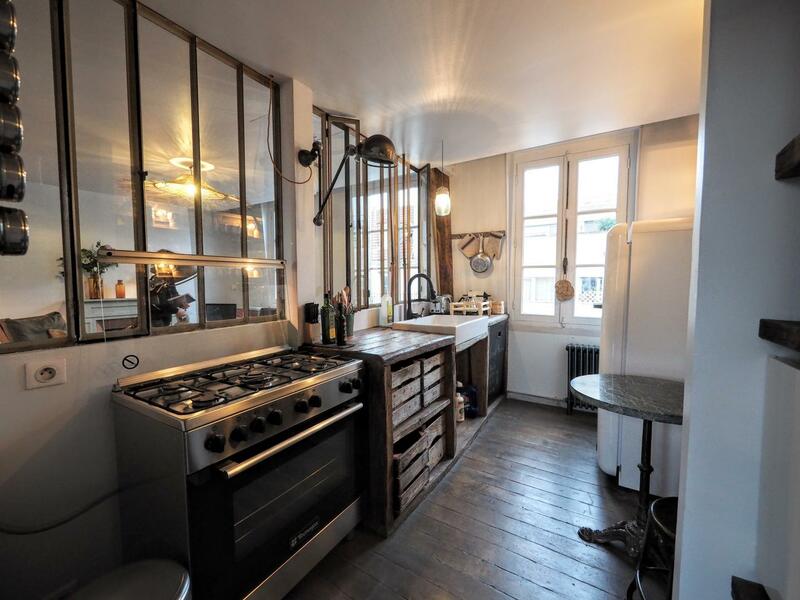 This location that allows to go everywhere and anywhere easily by foot, bicycle (cycle paths along the river) or by using various and convenient public transportation links (Metro Latour Maubourg, RER Invalides, Alma, Invalides Air France terminal). 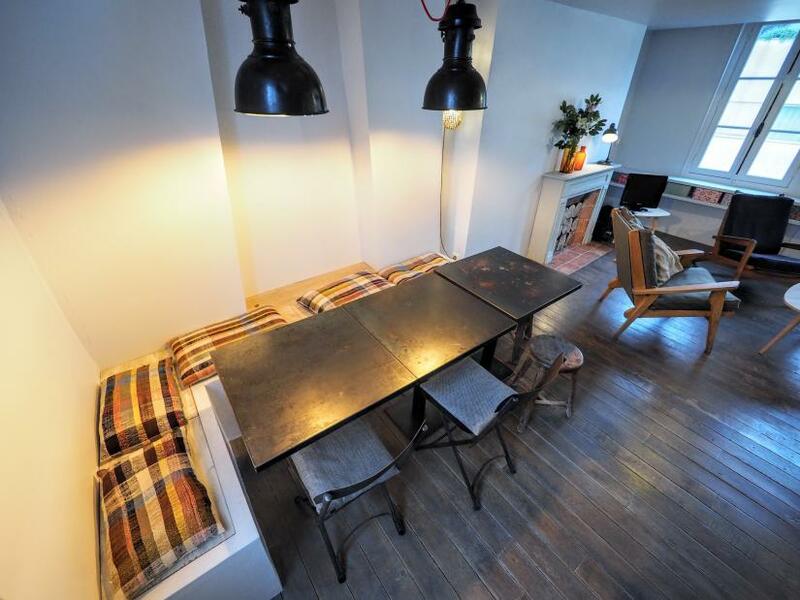 The flat is situated in the lovely and lively Rue Saint-Dominique where you will enjoy a family athmosphere and find everything needed for a long stay rental in Paris: typical food shops, supermarkets, fashion flagships, trendy brasseries ans restaurants. 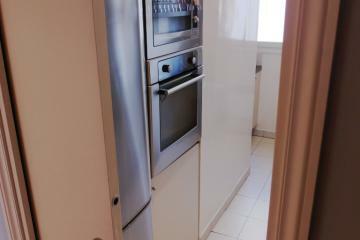 The apartement is situated on the 5th floor with no lift of a secured building (2 codes and intercom). 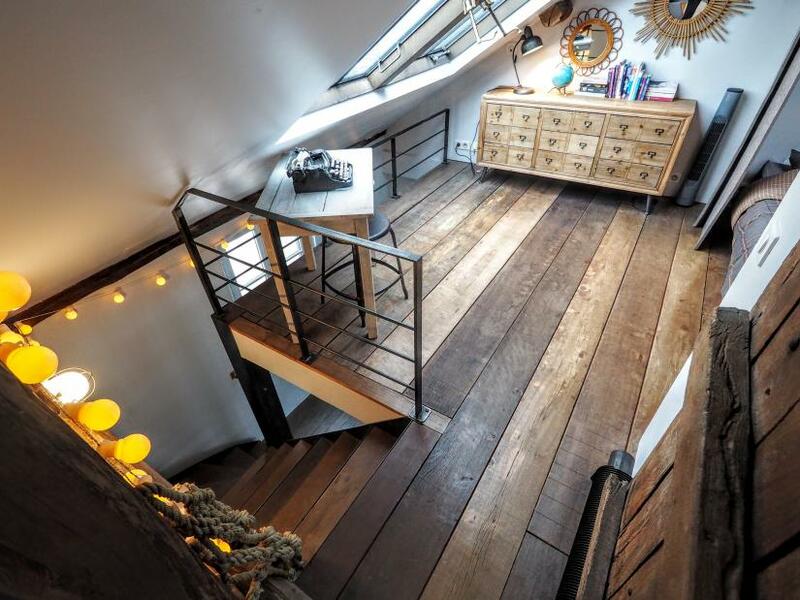 Just climb up and discover a charming renovated duplex apartment that has been designed and decorated in a trendy loft spirit. 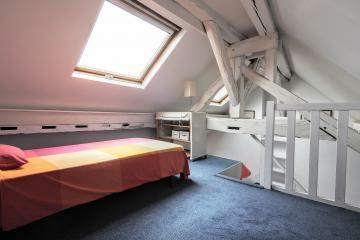 Enjoy brightness, great volumes and a mix comptenporary/vintage decoration offering quality equipement and furniture. 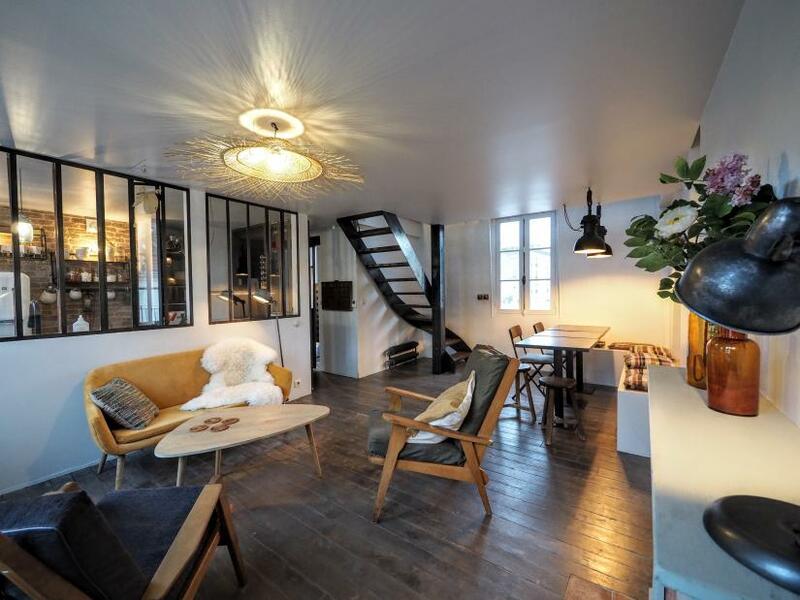 Spacious living room open to the sky offering a nice view on the Eiffel tower. 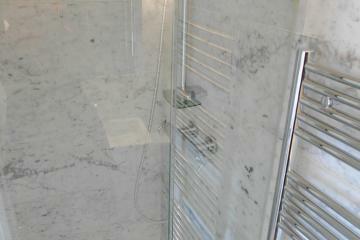 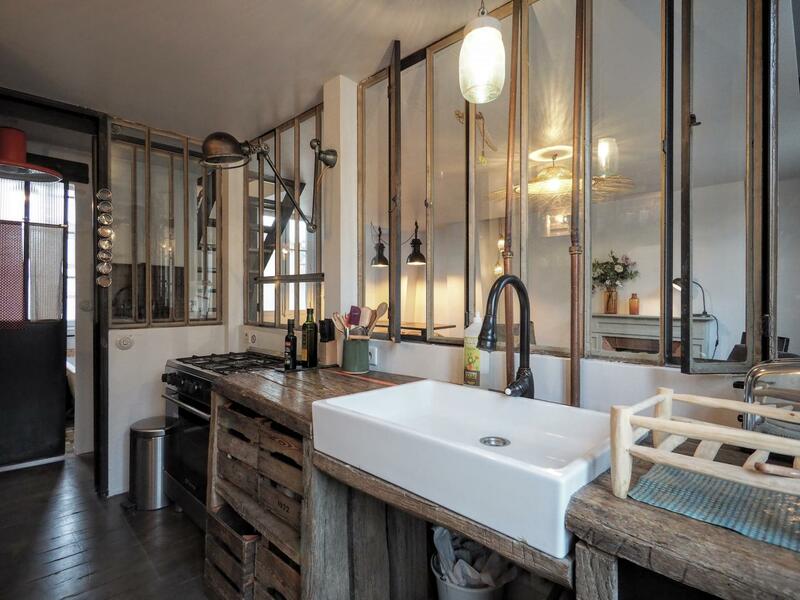 A glass wall separates from the fully equiped kitchen (Chefs will enjoy using a real piano). 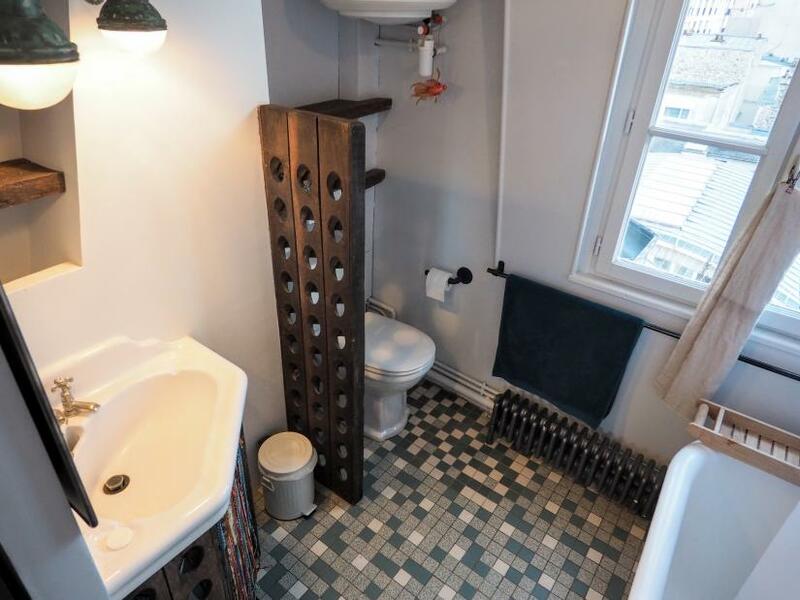 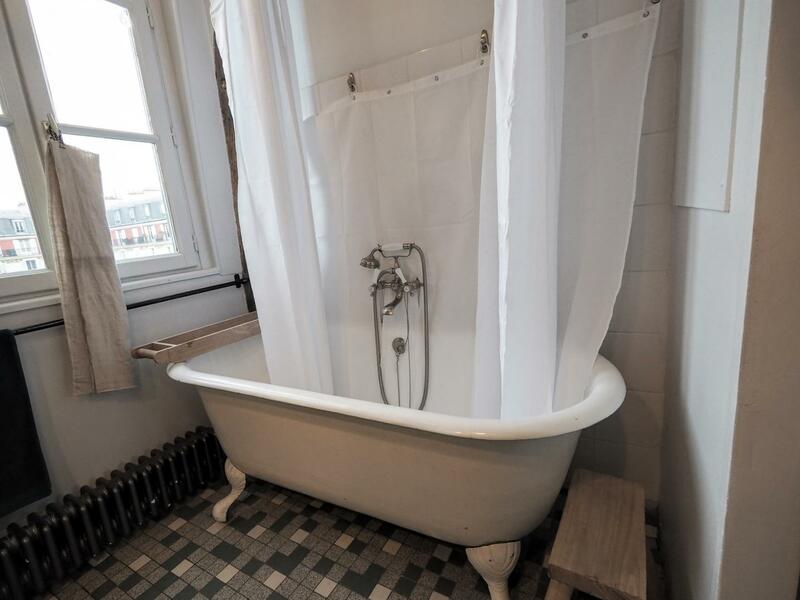 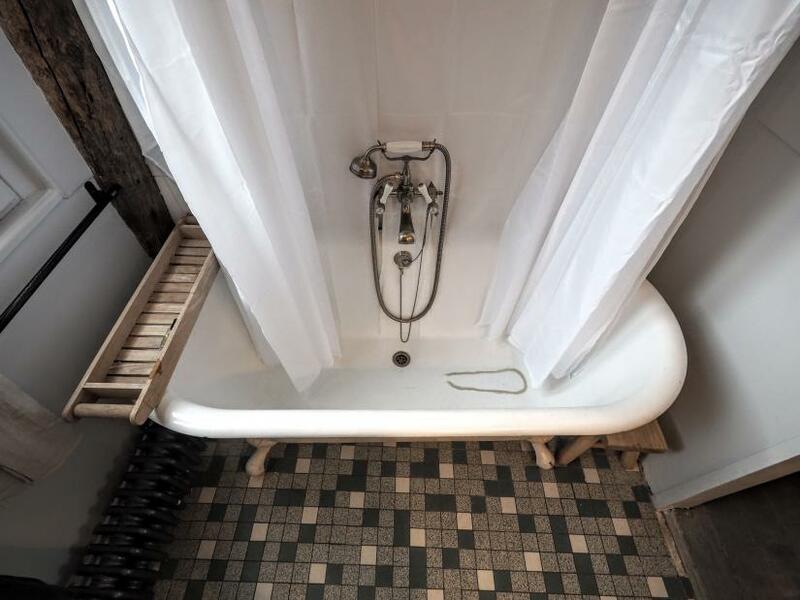 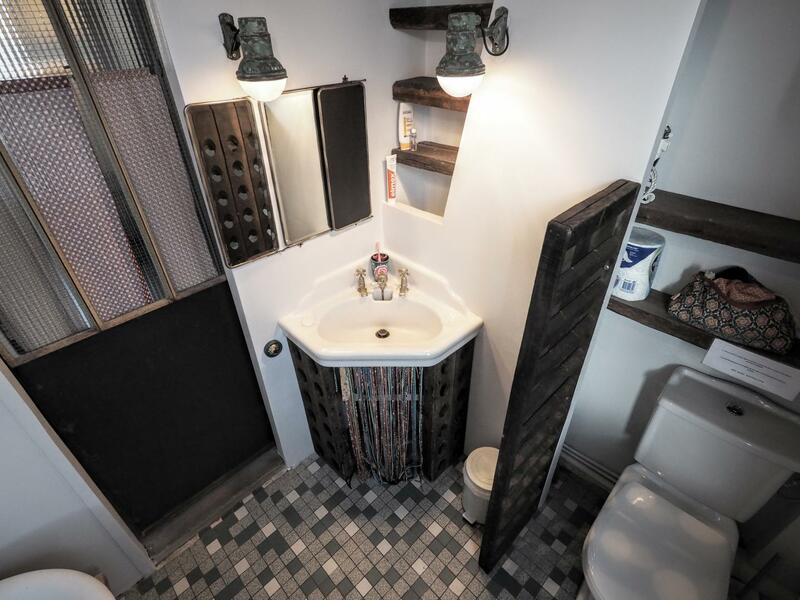 Charming bathroom with an authentic bathtub. 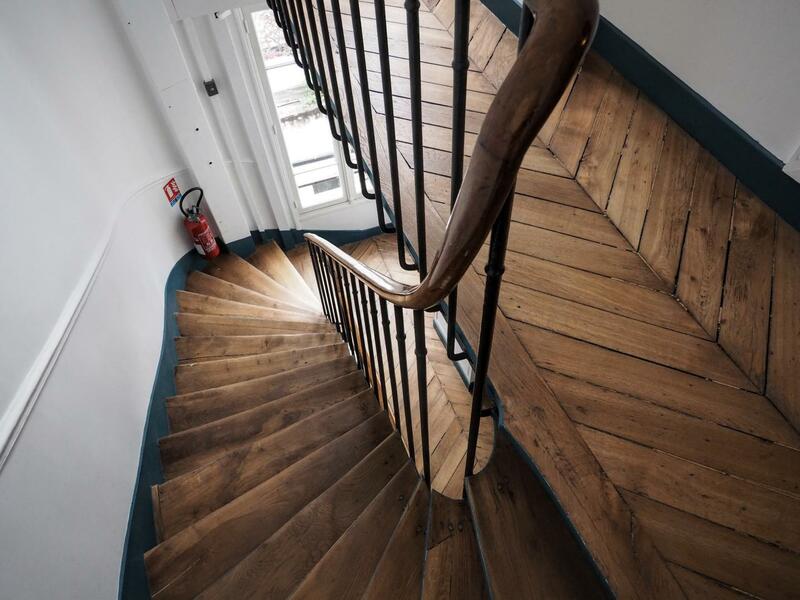 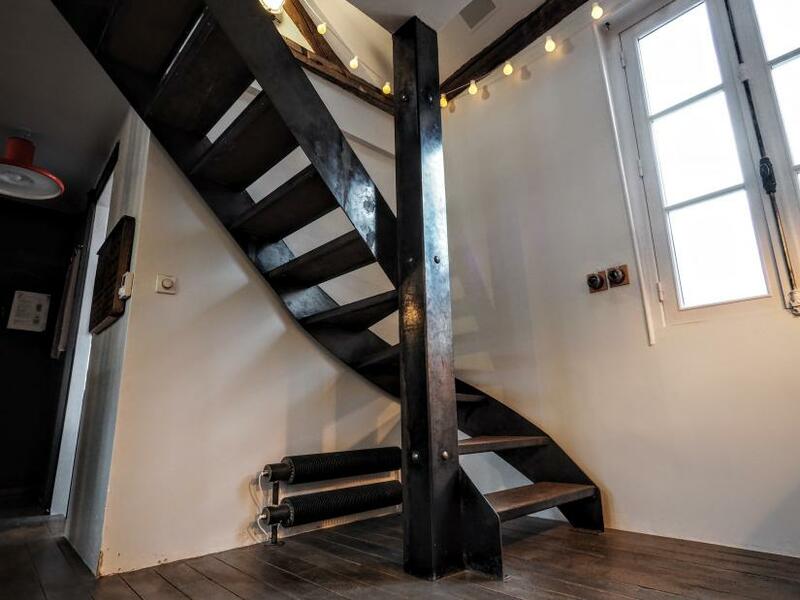 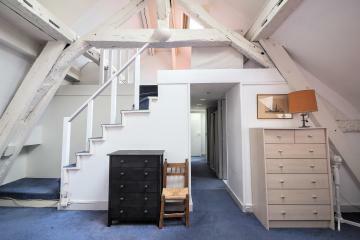 A secured staircase leads to the 1st floor that offers 2 bedrooms under the roof. 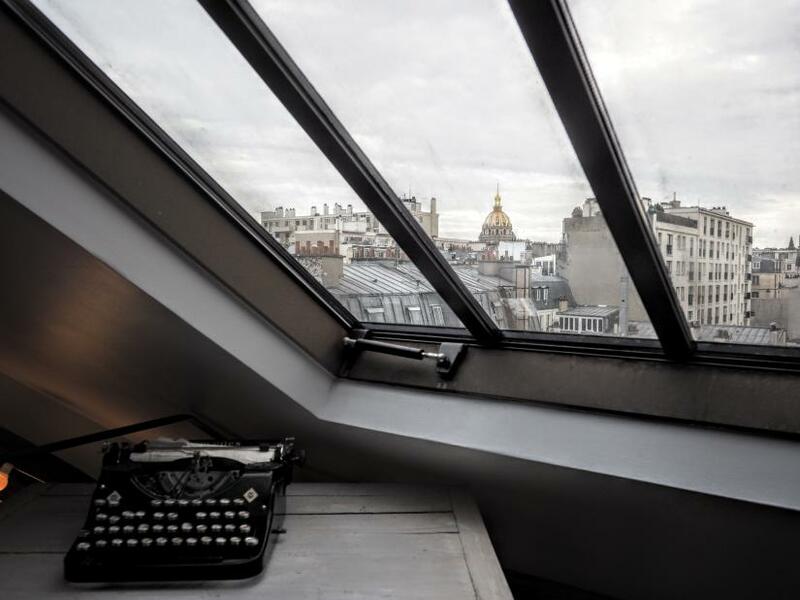 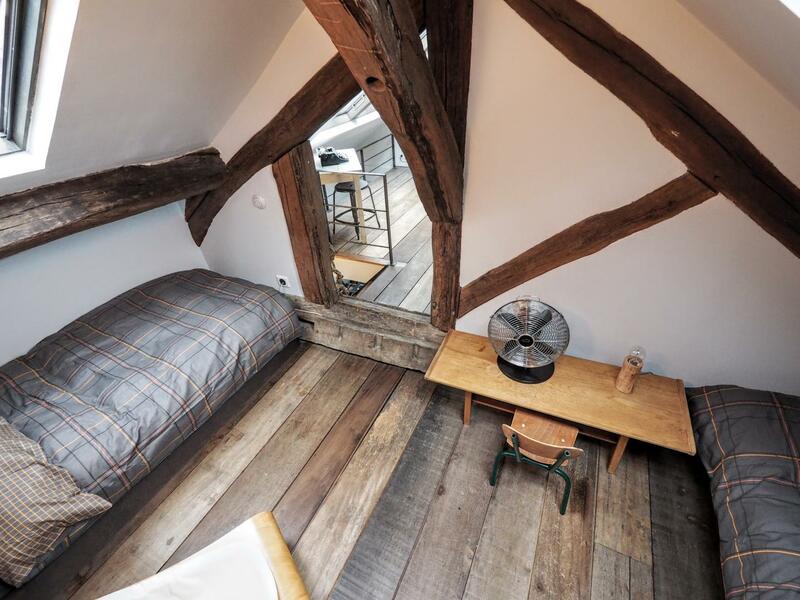 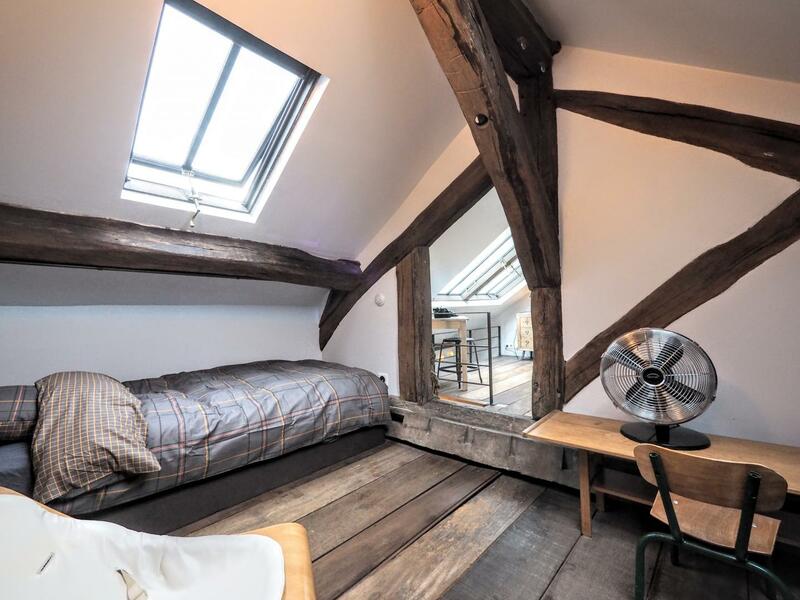 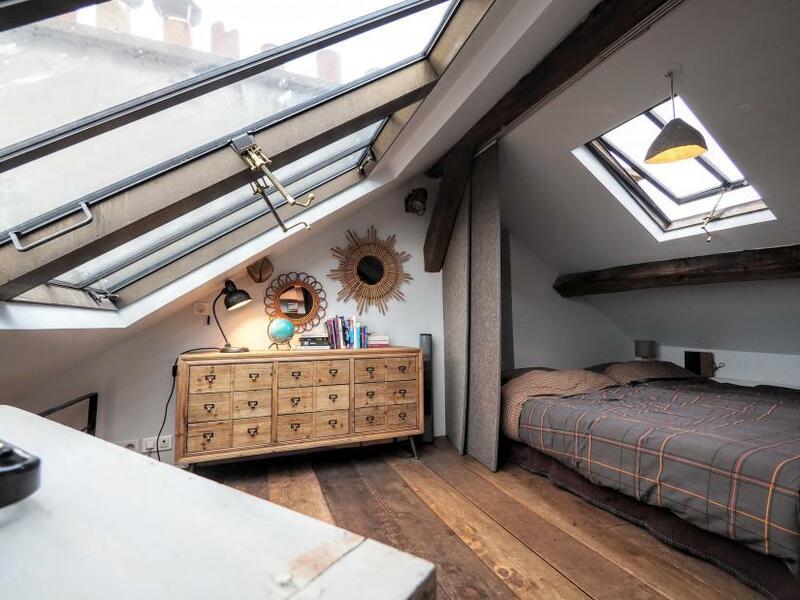 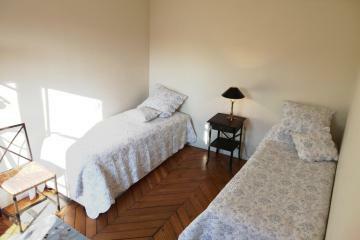 Fisrt bedroom has a double bed and a huge roof window with a great view on Paris skyline and dome of the Saint-Louis des Invalides. 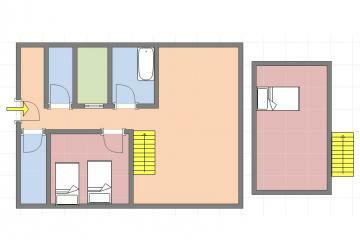 Second bedroom offers 2 single beds and offers the same quality of equipment and finishes. 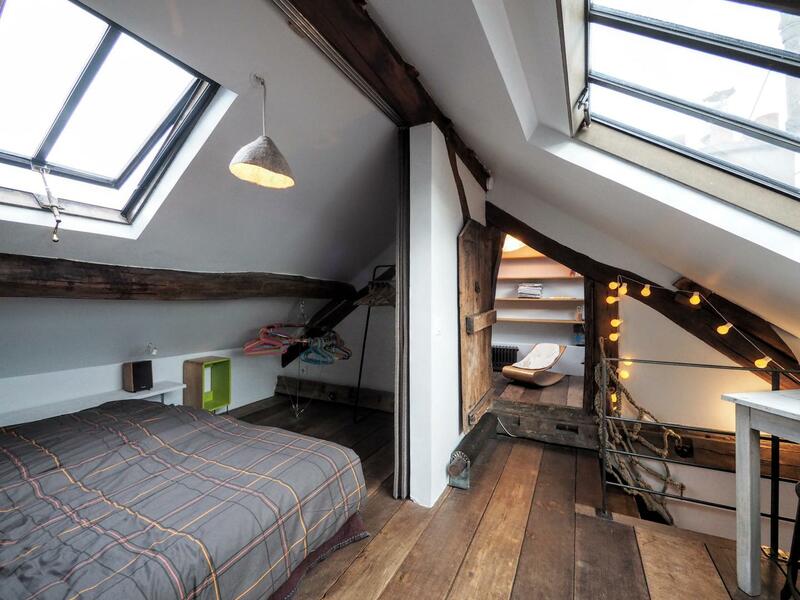 To be discovered! 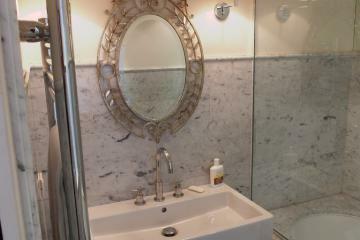 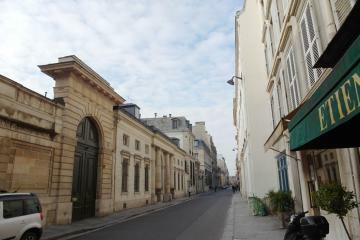 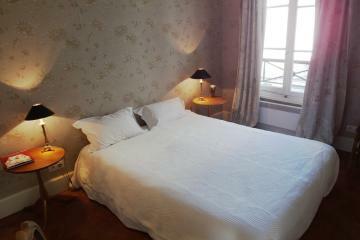 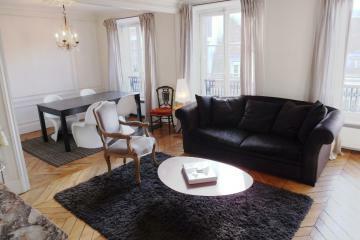 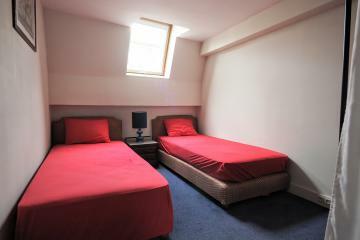 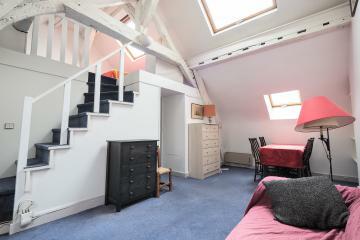 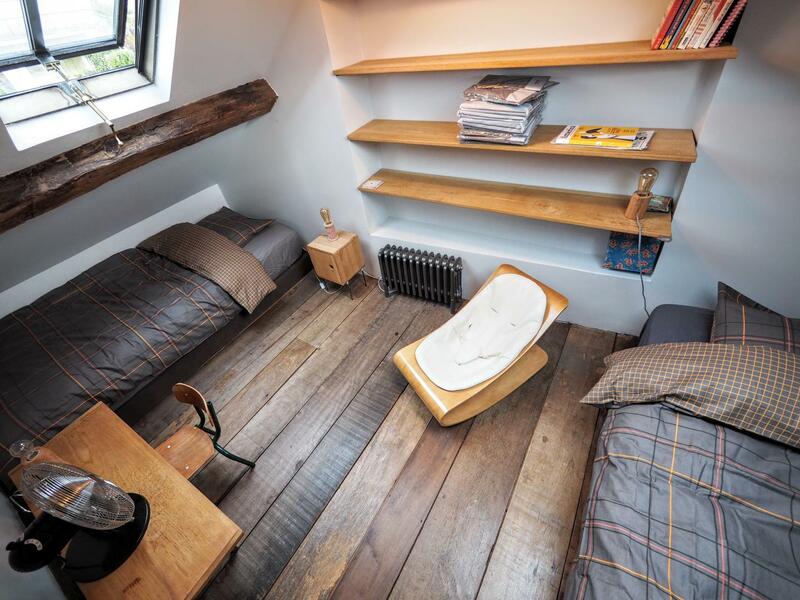 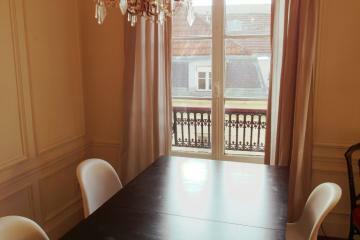 5 rd floor, without Lift, 2 bedrooms Appartement, furnished, Approx: 42m² / 452 Sq.Ft.